Who do you think would win in a fight: Goku or Ryu? What about Goku versus Chun-Li? Or against Guile? 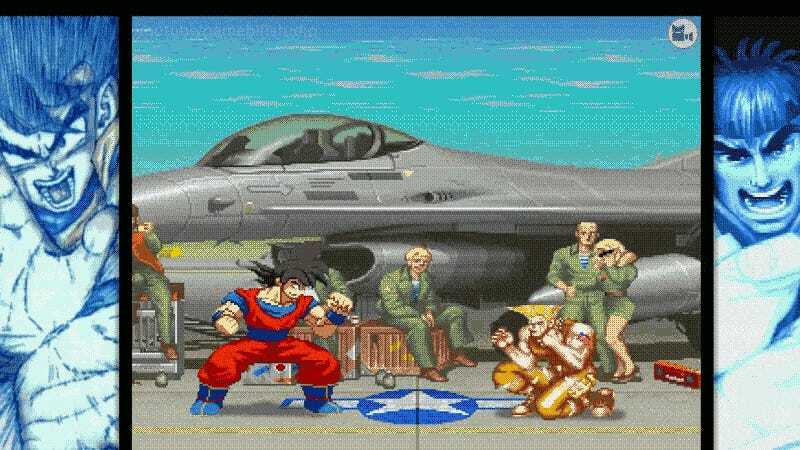 Kotaku reader Nabil at GamebillStudio always wondered what it would be like if the Dragon Ball Z character appeared in Street Fighter II. So he decided to take SFII sprites, Goku sprites (made by Balthazar), SFII and DBZ backgrounds, and sound effects from the anime. This is the result.